Oh Clapton yooz dun so mutch wesertch! Weez jus fwowin on eni bit fabwic we finds! 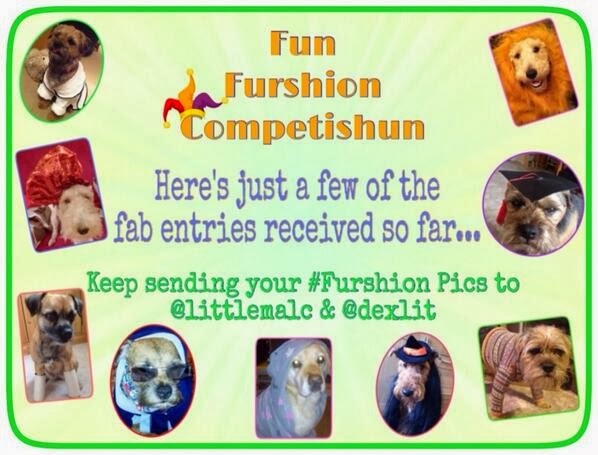 Fabtastik blog az alwayz pal! *nod* Gud Luk! We stil fink PINK be da way to go! Woof hoo!! 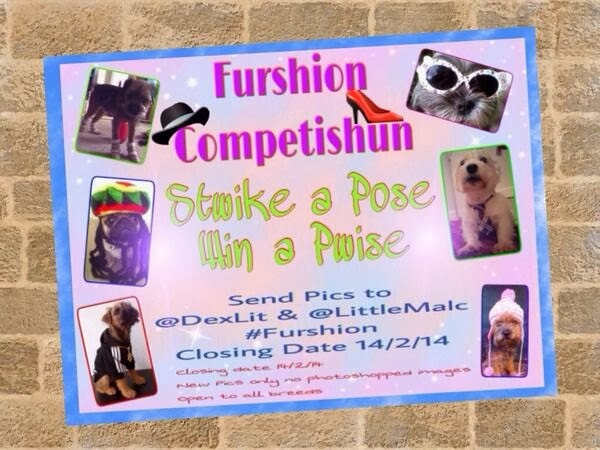 *claps paws* A pawsum bloggy agen Claptun...an my wot a furshionista Peter Tosh duz be!! *whispers* I maykin no comment bowt Typists shurt!! Wow you two look great in your ties. Who would have know Peter Tosh knew so much about fashion!! I must think about entering that competition!! You and your friends are so adorable. Great looking clothes.